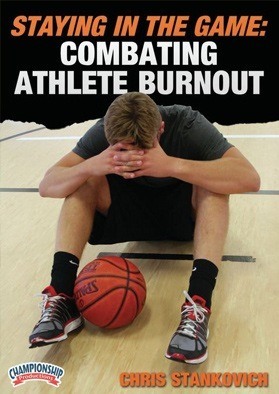 The role of an athlete can be incredibly demanding, often leaving athletes tired, stressed, and burned out (physically and emotionally). 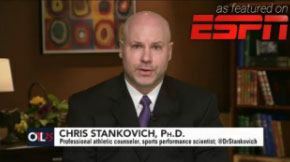 Unfortunately, when athletes feel overwhelmed, not only do they play less effectively, but they also lose all the fun they previously experienced while playing sports. Making things even more difficult for athletes who feel burned out from playing is the scarcity of educational resources afforded to athletes.until now. Don’t let burnout get the best of you. Live a healthier life and improve your athletic success! Q. I just purchased a downloadable product, where is it? Ans. After your purchase has been processed by Paypal, click on the orange “Complete Purchase” button. This will open a list of your purchases; each is a link to begin downloading that product. Click on “Click here” to begin downloading each product. Q. I closed the browser window before clicking the “Complete Purchase” button. Can I still get my downloads? Ans. Yes. We automatically send you an e-mail containing a link to download your purchase. If you purchased multiple downloads, you will receive multiple e-mails. The e-mail(s) will be from “Advanced Human Performance Systems”. Q. How long do I have to wait for the e-mail containing my downloads? Ans. Not long. Most e-mails are sent within 5 minutes of completed purchase. If you have waited over 15 minutes and still do not have the e-mail, check your spam folder and make sure you are checking the e-mail address associated with your Paypal account. Q. I downloaded my purchases to my computer, where are they? Ans. This will depend on your computer’s settings. You can customize where the files you choose to download from the internet are saved on your computer. If you have not changed the settings or saved former downloads to other places, the new downloaded files are most likely in your “My Documents” folder or on your Desktop. If your download still cannot be found, run a search for the file. Q. If for some reason I am unable to successfully complete my download purchase, what should I do? Ans. No worries – in the rare instances where technology problems arise, simply email sales@drstankovich.com and include your name, phone number, email, and receipt of purchase. We will respond to your concern within 24 hours and gladly complete your order. Q. I noticed that the majority of your products are exclusive downloads and not traditional “tangible” products – what are the advantages of virtual “soft” products? Ans. Virtual soft products offer a number of wonderful advantages over traditional “tangible” products. Soft products are downloaded directly to your computer, allowing you to store, send, and use the products as you see fit. Additionally, without expensive packaging and S & H costs, we can pass along these savings along to the customer. Finally, and perhaps most importantly, you will receive your products safely and immediately, rather than having to wait for weeks on end for the UPS man to arrive at your doorstep! Q. Although the majority of your products are virtual, I see that there are still some traditional products available (i.e. 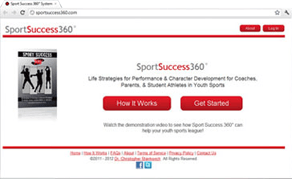 Sport Success 360° books, MYGAMEMYLIFE™ merchandise, etc.). How do these sales transactions work? Ans. You can purchase all traditional tangible products the exact same as you would our virtual product line by conveniently using PayPal (the only difference is your products will be shipped to your home rather than sent electronically to your computer). Our MYGAMEMYLIFE™ merchandise works in a slightly different way in that all orders will need to be placed by calling 1-877-488-5450 (so we can talk to you about any questions you might have, as well as make sure we can use your school logo file for a product, etc.). Q. Do I have to be a professional athlete (or coach) to benefit from your products – in other words, can “everyday” recreational athletes, coaches, and parents use them, too? Ans. Our product line is designed for everyone involved in sports! While elite and professional athletes do use our products, thousands of youth and interscholastic student athletes, coaches, and parents have found our training products and services to be of great value. Perhaps the best part of our sport performance enhancement products and services has to do with our strong emphasis on athletic transferable skills – meaning the skills you learn are life skills and designed to be used in school, career, and all facets of life.